APU’s history major prepares students to use thoughtful study of the past to make good decisions for the future. As a discipline, history is comprehensive—it records and explains societal development over time, and explores humanity’s possibilities and limits. The Bachelor of Arts in History provides a solid foundation in American and world history, geography, research, and writing. These then provide context for in-depth study of the student’s preferred time periods, regions, and historical themes. The degree prepares students for multiple career paths that call for clear and logical reasoning, the ability to analyze complex relations between cause and effect, well-developed writing skills, and familiarity with other cultures and historical eras. History majors leave APU equipped to make solid decisions that are grounded in the human experience. 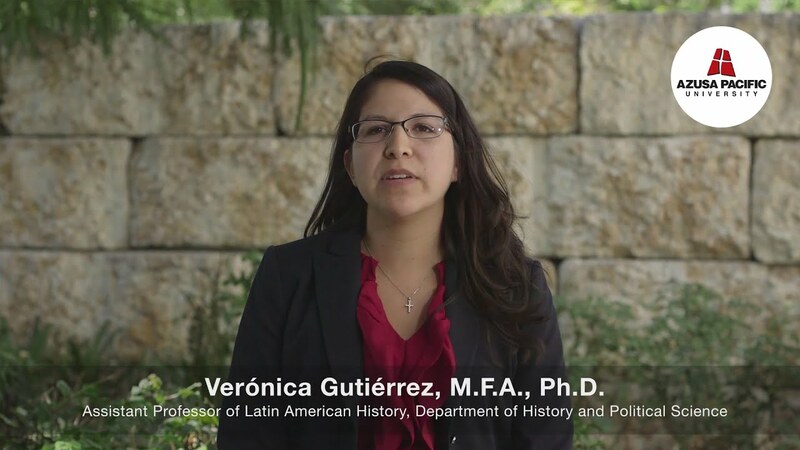 Get to know our history and political science faculty. Download the History Major Brochure to learn more about APU’s pathway from education to vocation, including graduate school and career opportunities. Like to know the context for events. Are intrigued by the human condition. Enjoy reading, writing, and researching. Want to understand a changing world. Are fascinated by a certain time period, culture, religion, or geographic area. As a history major, I love studying the past. APU’s history program has taught me to learn from the past to affect change in the future. I love the fact that I can talk to my professors outside of the classroom. This really encourages me to never stop learning and to treat the world as my classroom.